Engage in daring dragon-to-dragon aerial combat with the Attack Wing Dungeons and Dragons miniatures game! This is a Wave 2 Expansion Pack. Starter Kit required to play the game, although these make for nice standalone collectibles. Includes 1 pre-painted Movanic Deva Angel with Base and Pegs - 1 Manuever Dials - Cards - Tokens. 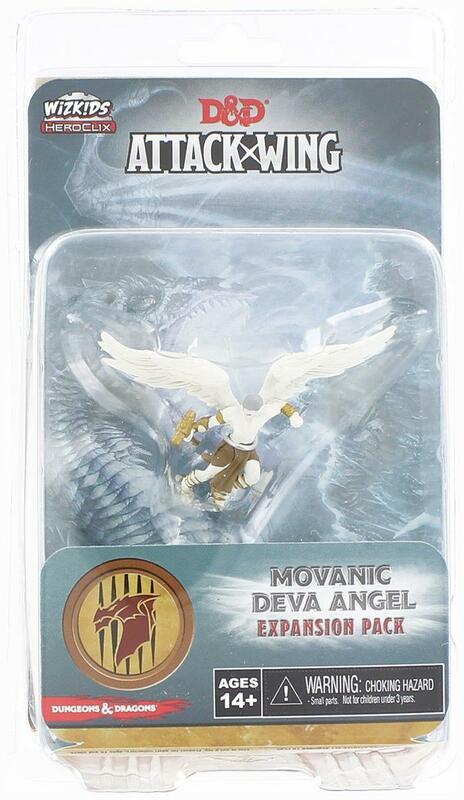 Engage in daring dragon-to-dragon aerial combat with the Attack Wing Dungeons and Dragons miniatures game! Wave 2 Expansion Pack. Starter Kit required to play the game, although these make for nice standalone collectibles.